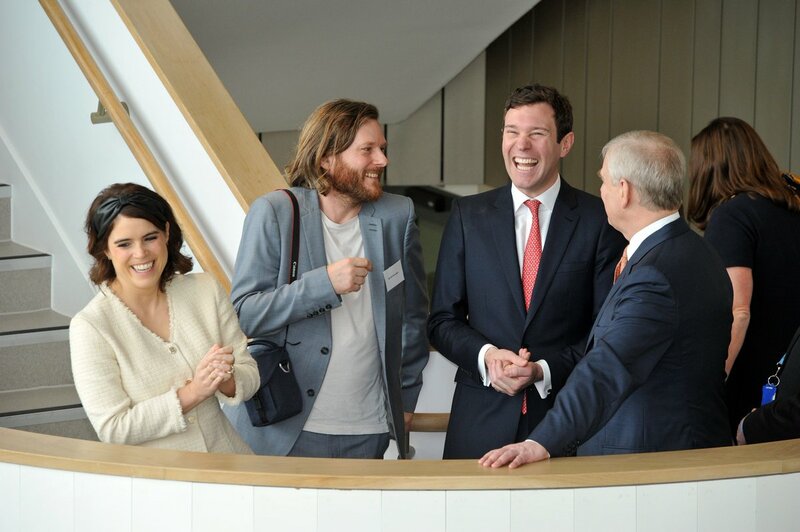 The Duke of York, Princess Eugenie and husband Jack visited the Royal National Orthopaedic Hospital in London today, March 21, to open the new Stanmore Building. 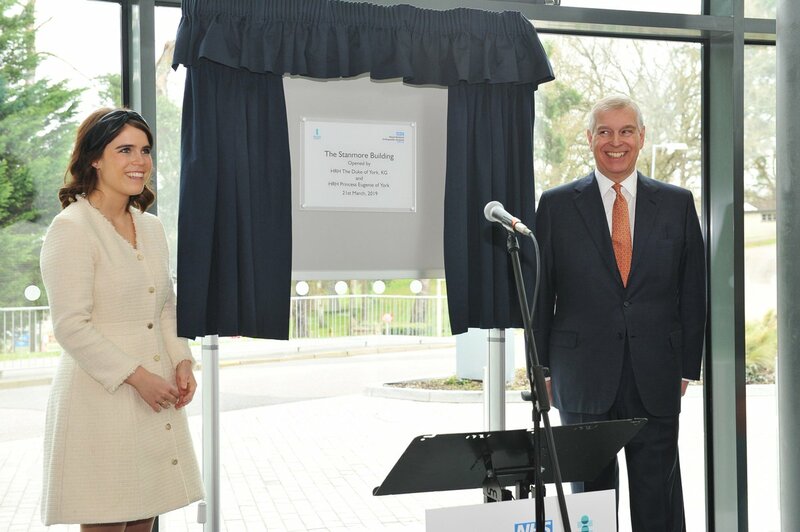 The Duke of York is Patron of the Hospital, Princess Eugenie is Patron of its appeal. Thank you for the photographs and articles! After his biography indicated that he would assist the princess with her duties, his attendance at an event for her family's longstanding patronage is welcome and not unexpected. Edit: The articles state that it is their first joint engagement, but is it also Jack Brooksbank's first public engagement for a royal patronage? 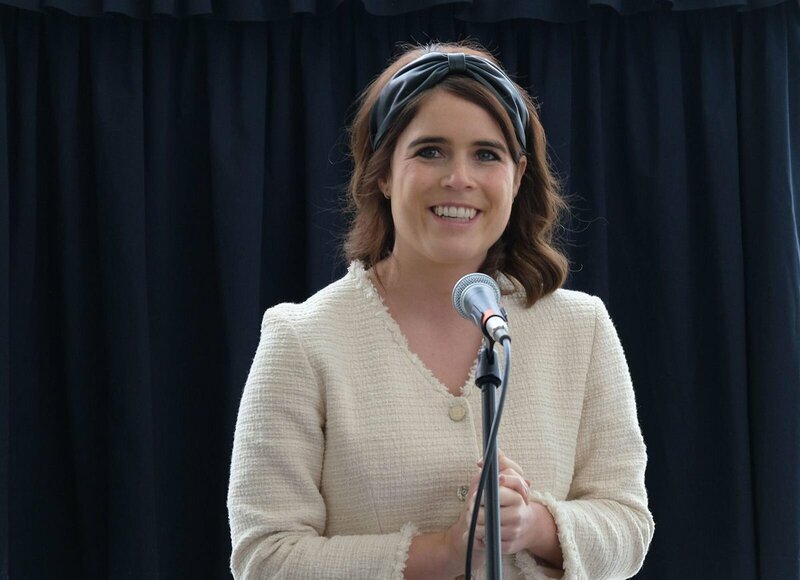 On another note, even on the plaque (Pic 2) commemorating the opening, Princess Eugenie is described as "HRH Princess Eugenie of York 21st March 2019". Of course the article is all about her ready to marry But still I enjoyed the photos. Nice to see her and her dad out enjoying a ride together. "Wishing every Mother a very Happy Mothering Sunday...and to my beautiful and spectacular mother today and every day." What's her/their connection? It seems I've seen them attending before. Andrew was their on an official visit. He was there for a few days for a few events including one of his pitch at the palace events. Beatrice has accompanied her dad on trips associated with pitch before. Sarah I guess joined them. Beatrice has accompanied her dad on trips associated with pitch before. Sarah I guess joined them. As did Eduardo, I feel like this was a tag along holiday of sorts. 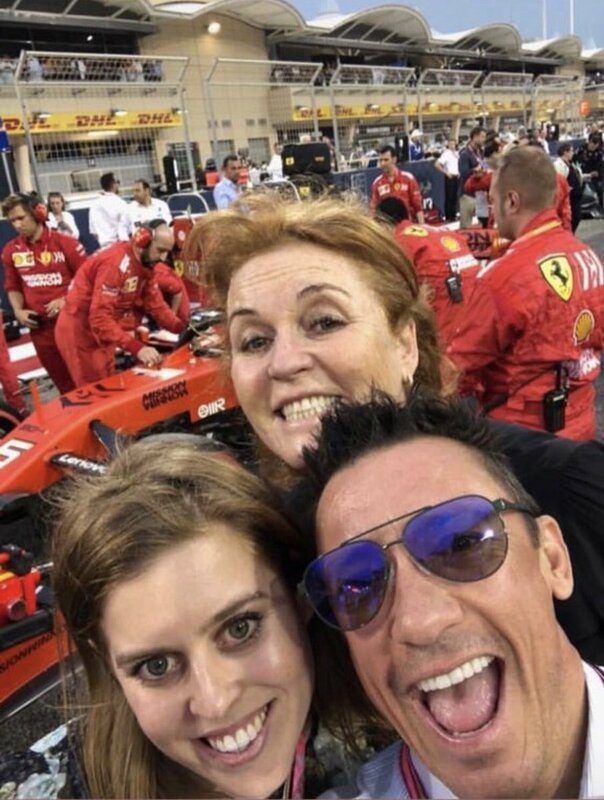 Beatrice was there in 2015 with Dave Clark, Sarah and Beatrice have been to the Monaco Grand Prix on a couple of occasions. 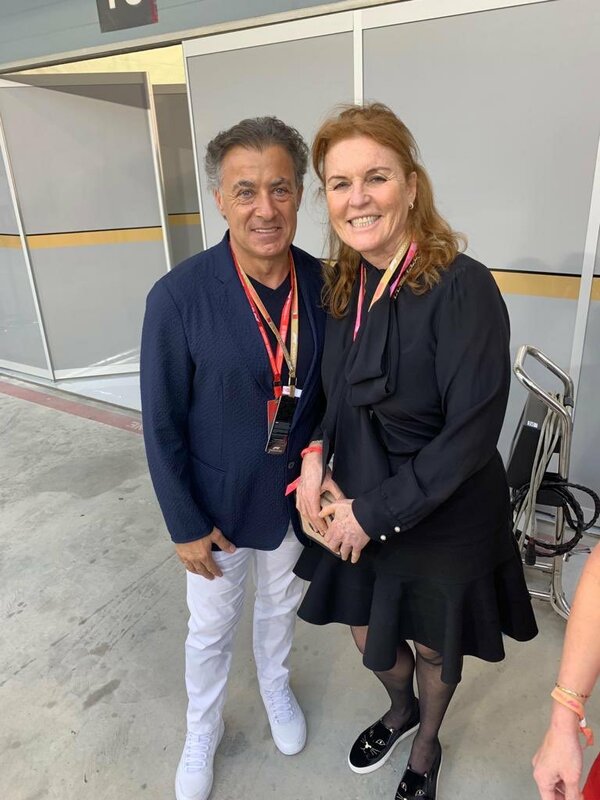 Sarah was dating Paddy McNally who was big in racing when she and Andrew started their romance, so her familiarity with the sport goes back decades. She was more than dating Paddy...they lived together for some time. It did raise some eyebrows when she got with Andrew due to her past...but I think it was ignored because afterall it was Andrew not the Heir. Per the DM her spokesperson says no - just good friends. I wonder what Andrew was thinking though, there have long been complaints that he tacks on personal holidays to official trips, & having his ex wife, and Beatrice and her bf, joining him on one of these junkets ‘put up at the Ritz by the Crown Prince’ will just add fuel to the fire. Sarah has always had a bit of a reputation for being a "tag along" and I agree that sightings like these don't really help. I just wish it wasn't made public so much. One thing I've always admired about the Yorks is that even with a divorce, they always have maintained a very strong family unit where their girls had both parents that actually enjoy being with each other rather than parents who can't stand each other. As Sarah has said, they have the happiest divorce on earth.